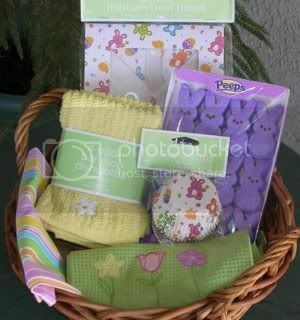 Megan’s Cookin’ is giving away this beautiful spring basket for your kitchen. All you have to do to get a chance to win it is click on the link or the photo to her giveaway announcement and leave he a comment telling her you’d like to be in the drawing. Make sure to tell her I sent you! Make sure you get over there before March 17th, St. Patrick’s Day. So do you get more for me commenting on the blog? That’s a cute basket. Hi jmom, Thanks for entering my contest. I put 7 tickets in the hat for you. Good luck!